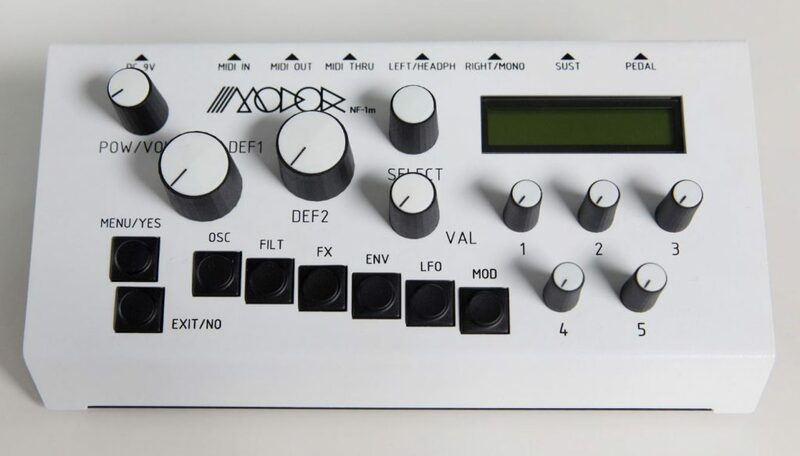 Modor is a new synthesizer company, made by synth enthusiasts who want to deliver great products ready for electronic music. The company has recently launched at Superbooth 17 the NF-1m, which is a more compact version of their NF-1 model. For the ones who are not familiar with the NF-1 synth, it is a digital DSP synth, which comes with 3 oscillators, one classic resonant filter, a resonant filter, built-in effects, (such as chorus, flanger and delay), and a modulation section. NF-1m, also called MiniModor, comes with a smaller number of controls, to make it a portable version of NF-1. 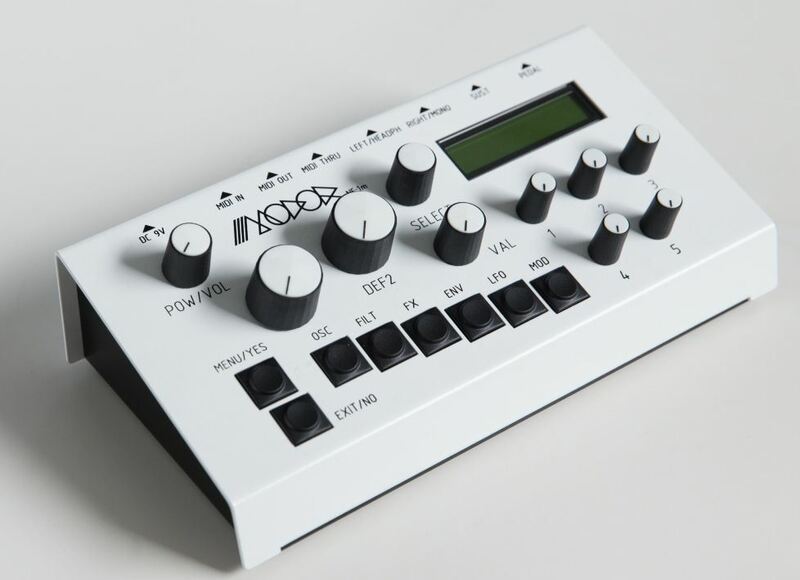 It also has three oscillators, classic resonant filter, formant filter, built-in effects (chorus and delay), two envelope sections, and a modulation matrix. 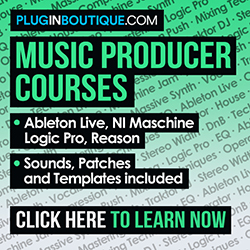 There are six buttons to select each section (Osc, Filt, Env, LFO and Mod). Once selected, the user can edit specific parameters through five knobs, numbered 1 to 5 (at the right, just under the LCD display). NF-1m also comes with two large Def buttons, that can be assigned to control any parameter for fast access. The product has Midi In/Out/Thru connections, as well as two balanced outputs, sustain and expression pedal inputs. It requires a 9V external power adapter (included).